Enjoy a leisurely URBAN/NATURAL combo bike tour of 7 miles to get acquainted with Austin sights like the Congress Ave. Bridge, Texas Capitol, Castle Hill / Hope Outdoor Gallery graffiti wall, Pfluger Ped/bike Bridge, Barton Springs and Butler hike-n-bike trail on Lady Bird Lake. We'll start on the lake hike-n-bike, then downtown to the Capitol, and back to hike-n-bike trail to finish. This 2-hour tour provides the best overview of the city! 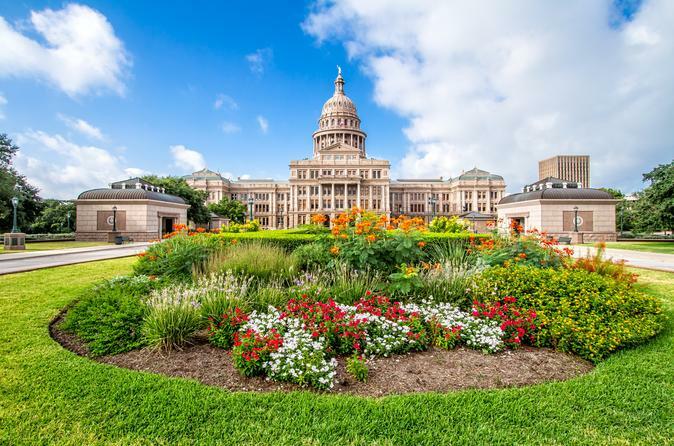 Begin your 2-hour bicycle tour of historic downtown Austin by visiting the Texas capitol building. After visiting the capitol, follow your guide to explore downtown. The next stop is Barton Springs. You will also ride around Old West Downtown, hitting the graffiti wall and into Seaholm. At the end of your ride, you will ride along Lady Bird Lake for more fantastic views of nature and also the city sights. This tour will take you on an easy journey of around seven miles and offers a great overview of Austin, Texas. Please be sure to dress comfortably with appropriate shoes.